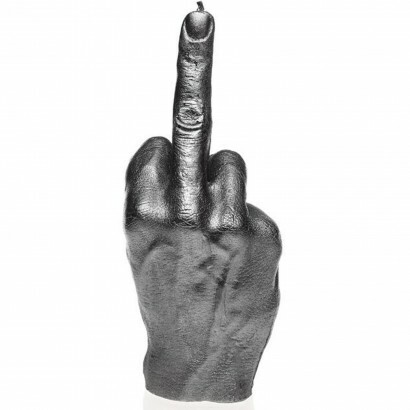 Some days you just want to flip the "bird" to the world, and this cheeky wax candle allows you to do just that in spectacular style! 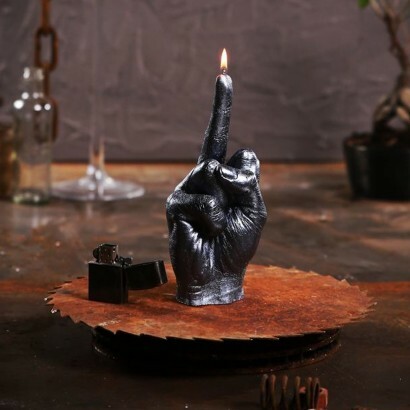 A bit of fun for those who're feeling a little world weary, don't brood on negativity, simply let it burn and melt away in steely grey wax with a satisfying flicker of flames. 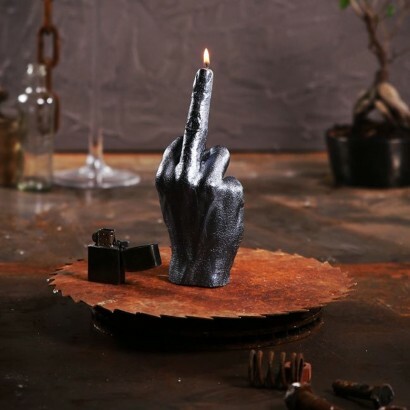 Cast to the size of a real adult hand, this large candle stands at 22cm tall with a clearly extended middle finger communicating your present mood to the world. 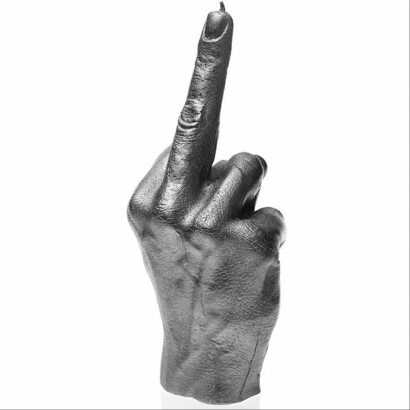 A bold candle that's not for the feint hearted!